Catering in Columbus can really make your event. At Bucceto’s, we and our owner Paul Heilbrunn have all that you need to make your event the best it can be, along with plenty of options for you to choose from. When you serve great food at an event or party, your guests are going to remember it forever, and we have a little something that everyone is sure to love. 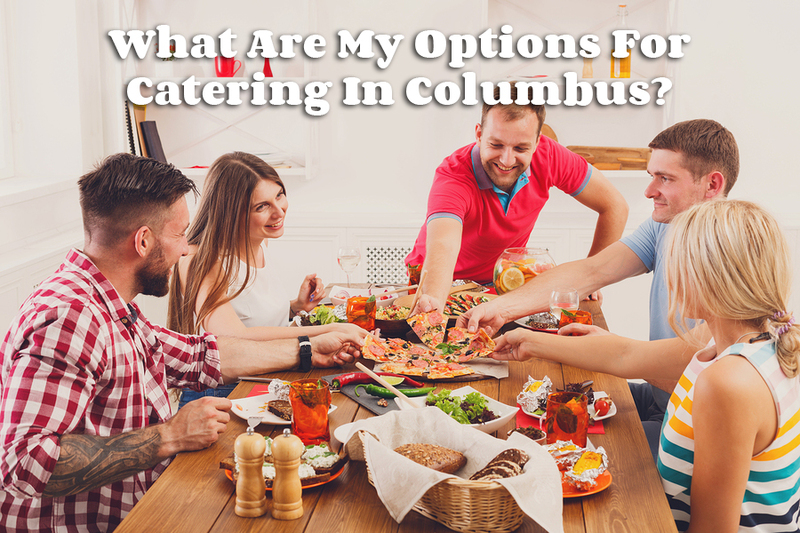 Whether you’re throwing a big graduation party, entertaining out of town clients, or it’s your turn to host the family reunion, your catering in Columbus is going to have to please everyone to truly make your event a great one. The start of your experience will be in your appetizer, and we have plenty of salads and starters to get your event started right. The half-pans of our starters feed between 8 and 10 guests, while full pans feed 16 to 20, and as many pans as needed can be ordered to ensure everyone leaves satisfied. For sit down events, we have classic salads perfect for getting appetites started with some freshness. For events where mingling is encouraged, you may be better suited with a great finger-friendly starter like our garlic bread with dipping sauces. After the starter comes the main event, and we have a number of options for your catering in Columbus experience. Several of our gluten-free menu items transfer over to our Bucceto’s catering menu, and you have your choice of casual pizza, Smiling Teeth gourmet pizzas, or calzones for laid-back events, or something a little fancier for your sit-down meal. Our pasta dishes are the perfect choice for a traditional Italian sit-down meal bursting with fresh flavor and plenty of stomach-patting satisfaction. 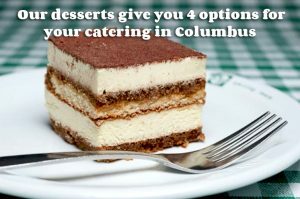 Following dinner is dessert, and our desserts give you 4 options for your catering in Columbus! While dessert isn’t mandatory for your event, it’s sure the best way to wrap up a great party. Our cheesecake comes from NYC’s world famous Carnegie Deli, the High 5 Chocolate Layer Cake is packed with decadence, the carrot cake is savory and sweet all at once, and the tiramisu fits in perfectly with a traditional Italian meal. If you’re looking for a ton of options for your catering in Columbus, call us at Bucceto’s today to see what we can do for your party!